With over 2 million copies sold, Phillip Keller's beloved contemporary classic spans the decades with its uplifting insights on Psalm 23. Pairing Keller's sublime reflections with the New International Version, this edition sheds light for a new generation of readers on the nature and ways of sheep---and of the Good Shepherd who cares for them. "The Lord is my shepherd, I shall not be in want ..."Travel the shepherd's path to the green pastures and cool, refreshing waters of Psalm 23.As a shepherd, Phillip Keller shares his insights into the life and character of sheep-and of the Good Shepherd who loves and cares for them. 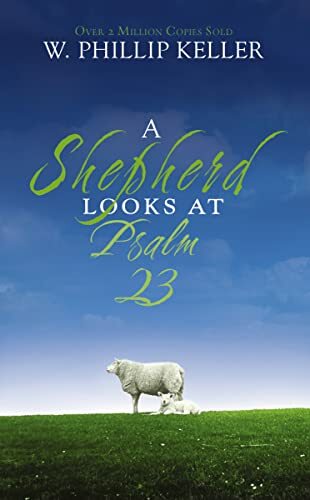 This beloved classic will give new meaning to the ageless Shepherd Psalm, enriching your trust in and love for the Lord who watches closely over you.